The 2019 CFI Financial Modeling Competition (World Case Championships ) has USD $10,000 of cash prizes for the top 3 finishing contestants; $7,000 for first place, $2,000 for second place and $1,000 for third place. Winners of the CFI Financial Modeling Competition will be featured with profiles on financialmodeling.org as well as corporatefinance.org and the names of the top 20 finishing contestants will be posted. By using a business case competition approach, contestants will experience a “real-world” simulation where they work at a private equity firm and have to build a financial model to decide whether or not they would invest in a private company that’s being offered for sale. SUPER EARLY Financial Modeling Competition Registration is NOW OPEN! Register now to compete in the 2019 case competition. Showcase your skills as a financial modeling guru and compete to be the best in the world. The competition is 100% online and will run on November 15th of 2019. Students who are enrolled in the FMVA™ certification program get discounted admission! Why Enter the Financial Modeling Competition? The Financial Modeling Competition – World Case Championships is a life-changing experience that fosters education and commitment to continuous education. Participants will have the chance to showcase their expertise and gain international credibility through an accumulation of practice, hard work, work experience and continuous education. Register today to embark on an exciting adventure! Embrace the opportunity to demonstrate your subject mastery, accumulation of hard work, and expertise across a broad range of corporate finance topics. There are 5 steps contestants must complete over a 1 week period. Below is an infographic of how the financial modeling competition works. The competition is 100% online and contestants must download the case package, build a financial model, create a presentation, record a 5-minute video of their recommendations, and upload the submissions to the website all within 1 week. Below are the sponsors and partners of the 2019 Financial Modeling Competition and Case Study. 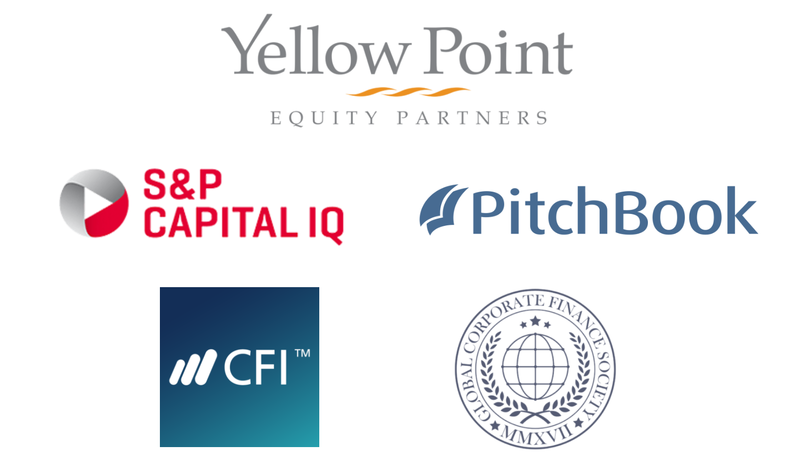 Click on the logos below to learn more about Yellow Point Equity Partners, S&P Capital IQ, PitchBook Data, Corporate Finance Institute (CFI), and the Global Corporate Finance Society (GCFS).